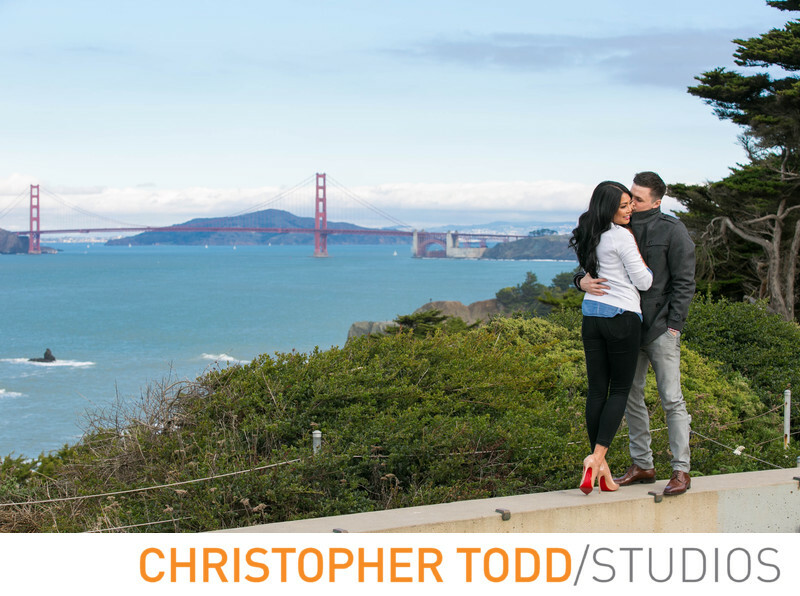 As an Orange County engagement photographer we can help you decide on a beautiful location for your photos. With so many diverse locations to choose from couples should ask themselves what style they are looking for. Bold and dramatic photos Bright bold colors beautiful outfits paired with an eclectic location. Unique architecture, an iconic building like the Disney Concert Hall or the Lab in Costa Mesa. Photos here draw a loud contrast between you and the environment. 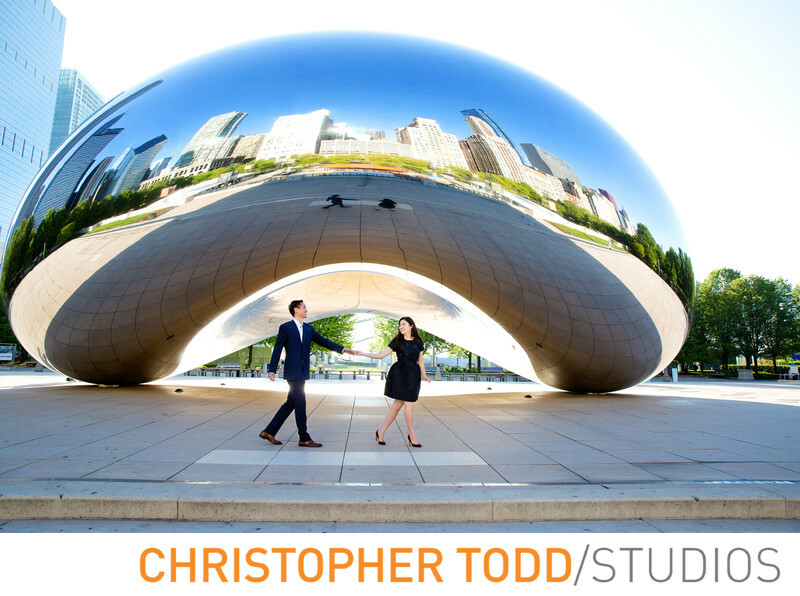 Urban locations are perfect for couples looking for a unique style of engagement portraits. Coordinating your outfits for the environment you choose is an essential part of planning. We offer our couples a style guide to help them decide on the right look. We also encourage engaged couples to think about a meaningful locale that is special to you. Think about where you were proposed to? What activities do you love to do together? These are all ways to figure out where we can create beautiful portraits of your engagement that reflect who you are as a couple. 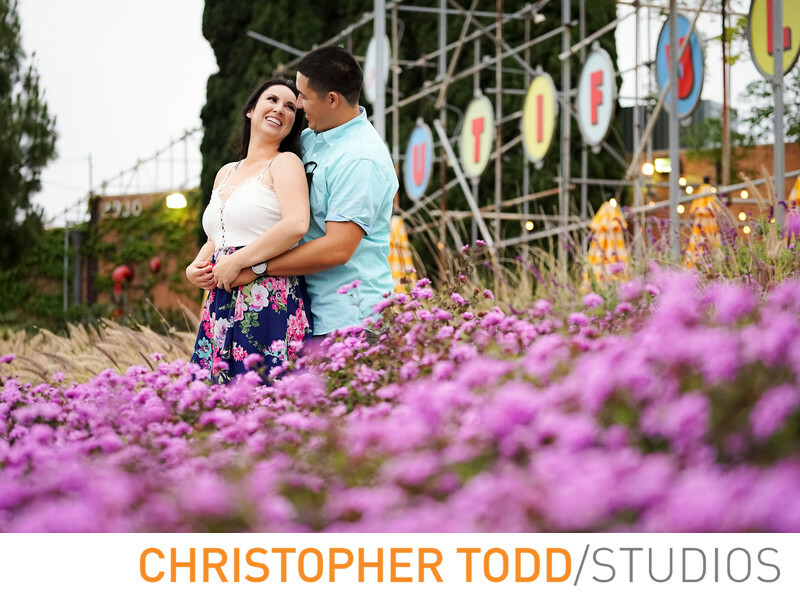 Orange County has many great locations for your engagement session. At times it can feel overwhelming choosing the perfect location. If you have a theme for your wedding you can bring that into your photo session. Choose a rustic park like Irvine Regional or Central Park in Huntington Beach. Maybe you prefer more of an ocean scene with waves, sand, tide pools and golden sunsets. 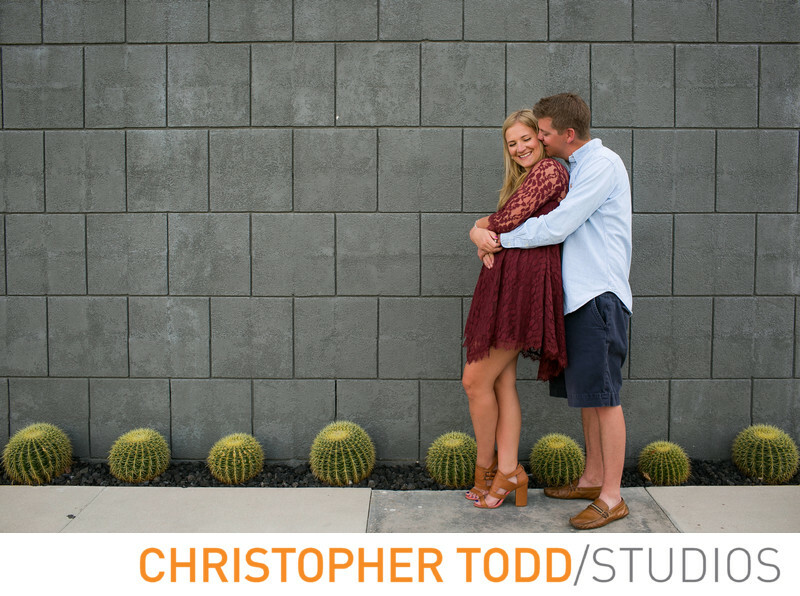 Many couples are finding an urban or eclectic backdrop to be fitting. 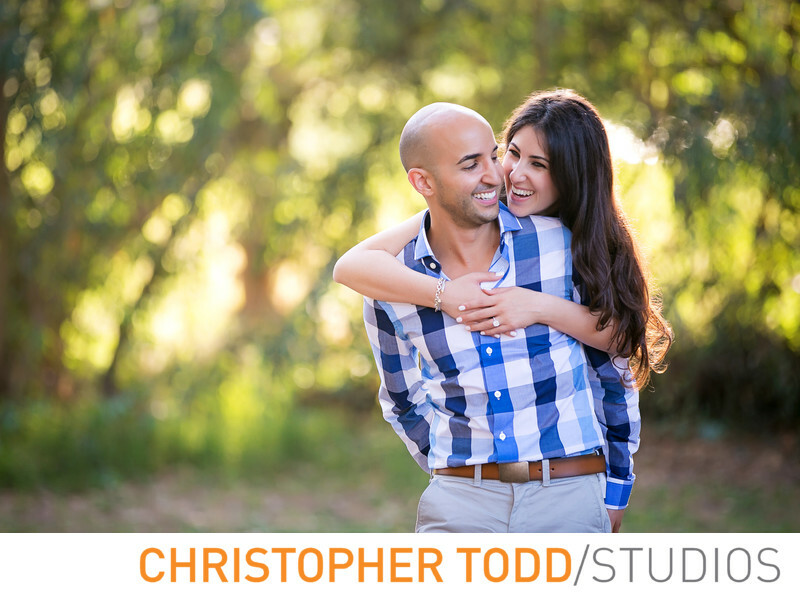 Orange County has many locations to choose from for your engagement photography session. We can help you decide on a location. 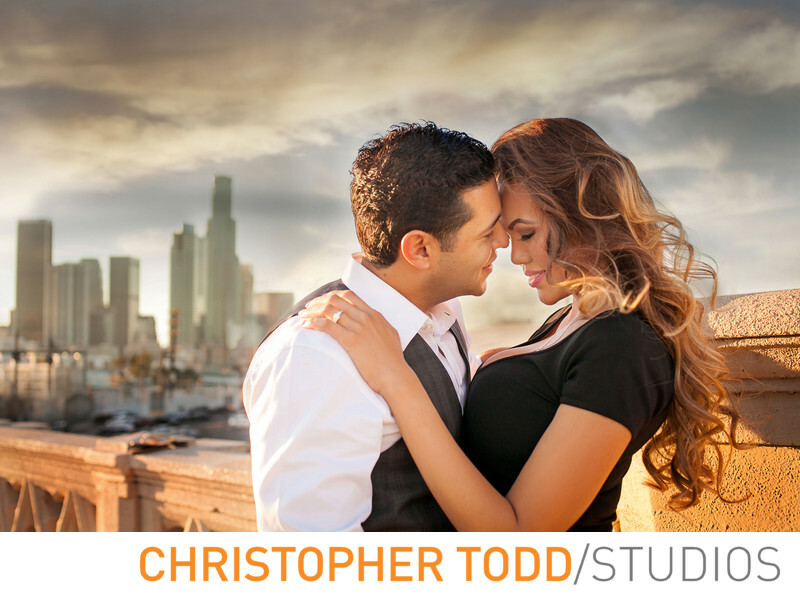 Although we are an Orange County Photographer you will often find us in the Los Angeles Area photographing engaged couples. LA is perfect for photography. Engaged couples can choose from one of Los Angeles’ beautiful beaches, iconic downtown buildings, or natural settings. 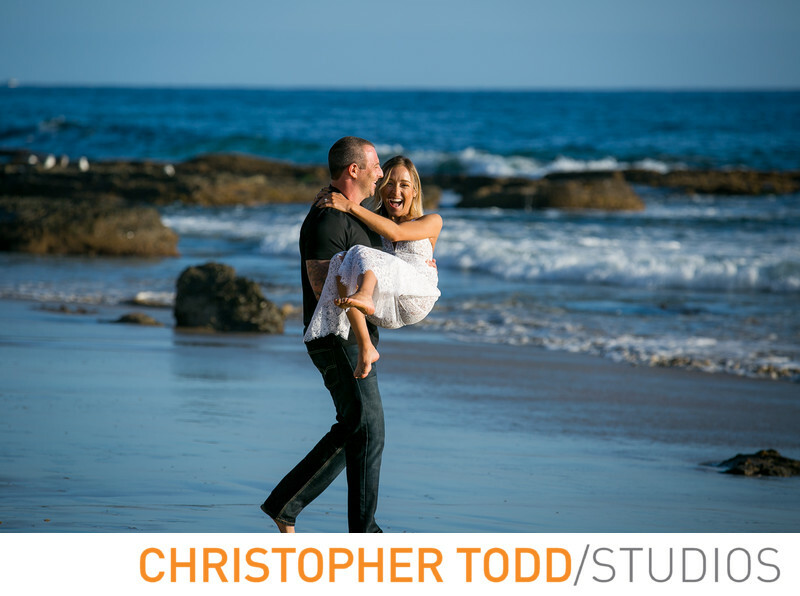 Whether you choose to have your engagement session in Los Angeles, Orange County or a destination location we can help you with the details of planning a successful photo shoot for your engagement portraits. As an engagement photographer we know how important it is not to pass this opportunity up. It is a special time in your relationship and well worthy of being documented. If you are contemplating whether an engagement session is right for you please read our about engagement planning section. Your engagement session is much more than photos of the two of you. Get in touch and schedule your engagement session today.